Most people nowadays are required to use their mobile phones for work as well as for pleasure. With constant connectivity being a necessity for so many of us, it's important that you buy the right phone that's going to be a good investment and reliable. Today we're looking at the top 10 mobile phones for business users. So, if you need a great new business phone, then read on to find out our recommendations. Samsung's newest release is as high featured and fast as they come. With huge octo-core processing power, this speeding bullet of a phone is never going to let you down. The voice assistant is much improved on the older Galaxy S III assistant, and is a good substitute for Apple's Siri. And you get a full five inch screen as well, so reading emails in full is no problem at all. The Samsung Galaxy S4 is a great business phone option. And this is the newest release from Nokia, a brand new Lumia. If you're looking for a Windows phone, and many business users are since it's so compatible with office software, then the Lumia 925 is the new standard. Larger screened and faster than its predecessor, the Lumia 925 also has a fantastic camera as an added bonus. The only downside is that you'll have to fit a cover for wireless charging, since it's not in built as it was in the older 920 model. For a long time Blackberrys were the standard for business phones, but low processing power and reliance on physical keyboards has rather knocked them out of the market. But the new Blackberry Z is a full touch screen phone, and has some impressive processing power. It also still has all the classic Blackberry business apps included, making it great at scheduling and time keeping. The Blackberry Z is a fantastic device, and well worth a look. Another new release, this time from Sony. And the Xperia Z has massive power, as well as a huge, Gorilla Glass, scratch resistant screen. And it's splash proof too, so feel free to send emails in the rain. The Xperia Z is a classic business phone, and has great connectivity as well as being robust and reliable. The battery life isn't quite as good as it could be, but its speed makes up for that. 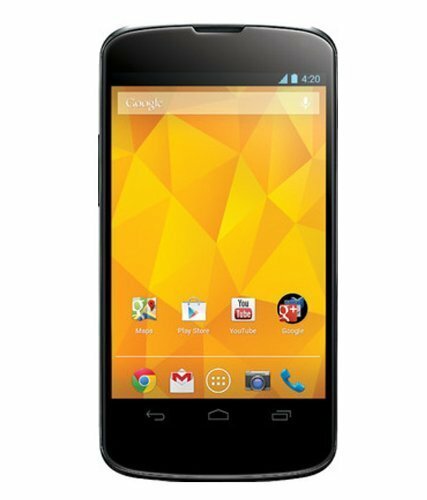 If you're looking for a good business phone that's a little cheaper than the rest, then take a look at the Google Nexus 4. It's got a ton of processing power, and a good sized screen, as well as plenty of internal memory. The build quality is nice, if not quite up to the standard of an iPhone or Samsung Galaxy. Again, the battery is a little lacking, but at this price we can forgive that. The Nexus 4 makes an excellent budget business choice. We'd prefer a tad more processing power, but the Motorola Razr i is still a great buy. The screen is high resolution and bigger than that of the preceding model, and the user interface is exceptionally easy to use. Plus, you get more battery life than you would expect on a phone of this calibre and price, making for less phone charging. All in all, this is a solid business model, and its scheduling abilities are pretty good too. Despite being an older model, the Galaxy S III is still a powerful phone. You get some great processing speeds and a fantastic screen, and thanks to an upgrade the new Galaxy S III LTE is fully 4G capable, so you'll get your faster internet speeds as well. It's not quite as fast as the S 4 model, but the Galaxy S III is still a decent business phone, and the scheduling software is the same as that on the S 4. Finally, for many users the huge screen on the Galaxy Note II make it a great choice for a business phone. A big screen means easy typing, as well as easier to read presentations and documents. It's a little large for true portability, but the processor and screen are second to none.